VS-Travels offers all travel services to every point of the world - accomodations, vacations, excursions, organizing of congresses, seminars and festivals, flight tickets, rental buses, etc. Our team performed on this website OnPage SEO (HTML tags, title tag) and registration in search engines and web portals. 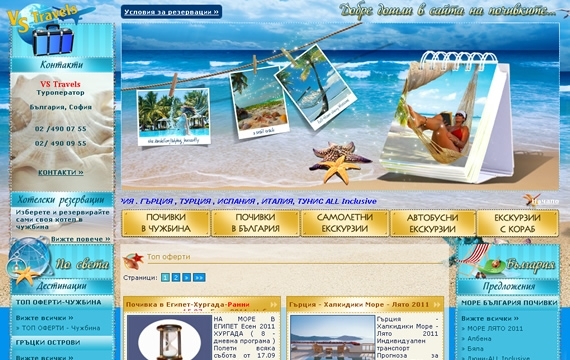 We also installed a blog with information about Vacations and Excursions by VS Travels, which is helpful for the tourists.